This is actually what happened 🙂 😉 🙂 …. Thankfully I didn’t knock myself out or have anything more serious. But, unfortunately when you are about to turn 40 your body can’t handle the impact like it used to. 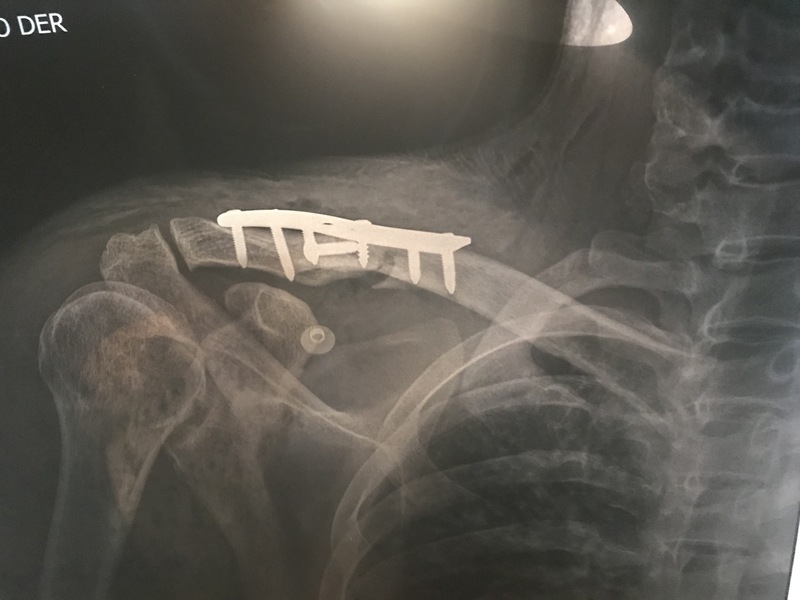 The end result for me is a shattered collar bone (insert crying emoji here hahaha!). The bad news is that the bone is broken into four pieces and severely displaced (more than an inch). Both of those factors are no bueno. Nearly all collar bone fractures can be left to heal but with those two factors, my age and activity level the doctors recommend surgery. And praise God that is something we are able to do here in country. I am trying not to feel like a total bone head, and I really thank God it wasn’t worse. We had a good meeting with the surgeon this morning. He is an experienced orthopedic surgeon and works on a team with the pediatric surgeon who fixed Mason’s leg. The plan is to schedule surgery for Monday. We really appreciate your prayers for us. Considering all that is happening in Nicaragua this isn’t something we want to also be dealing with, but at the same time we can Praise God in the middle of it and just keep pressing on with the Joy of the Lord in our hearts. That joy is what sustains us, amen. We do have a small national insurance policy that should cover 20% of the $4,500 total. If you would like to help us personally in this way we would be very thankful for that. I hope the video at least made you laugh a little this Saturday! And really thank you for your prayers for healing and for our family…that is the best thing we always love from all of you who support us! Amen. UPDATE: Thank you all so much for your prayers, concern and support….Praise Jesus surgery was a success and today I am feeling soooooo much better! In the middle of such a crisis in Nicaragua this was not the ideal time to have a bike accident, I still feel like a bozo for that! But things went very well and the Doctor was very positive about the surgery. There were three large bone pieces to put together and a fourth small fragment that he decided to remove. But on our post surgery visit last Friday, he saw no infection and gave me some physical therapy movements for the next two weeks. After that I can start doing full range motions. Please do keep praying for Nicaragua. As I was prepping for surgery, we were delayed an hour because a young man was being prioritized because he had a bullet wound in his leg from the violence with police the previous night in Masaya. Obviously I wasn’t going to complain, but it was so incredible to talk with the doctors who were volunteering their time to save lives of young people. The anesthesiologist was sharing with tears in his eyes. Praise Jesus for doctors and medical people who answer the call to help and heal during this horrible time in Nicaragua! 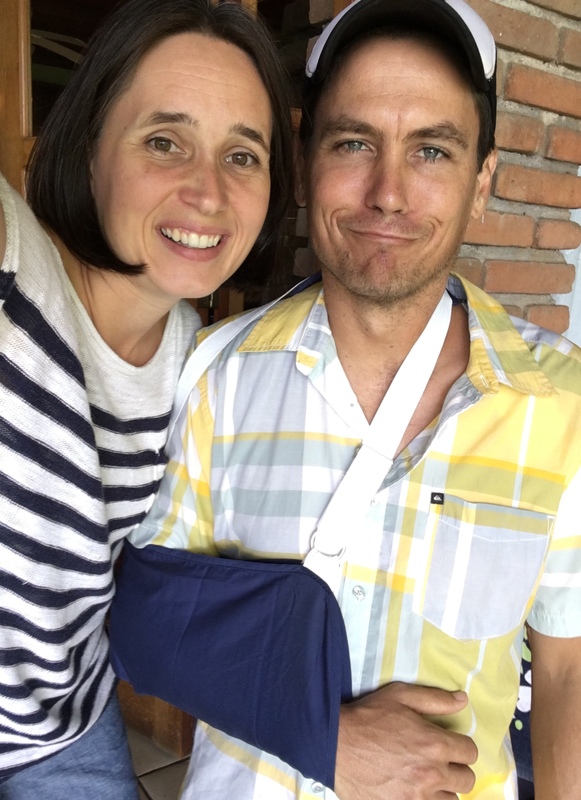 Post Op – No Infection! Ok, so only in Nicaragua does the surgeon share photos with you of the surgery…or maybe that happens everywhere, I have never had surgery. 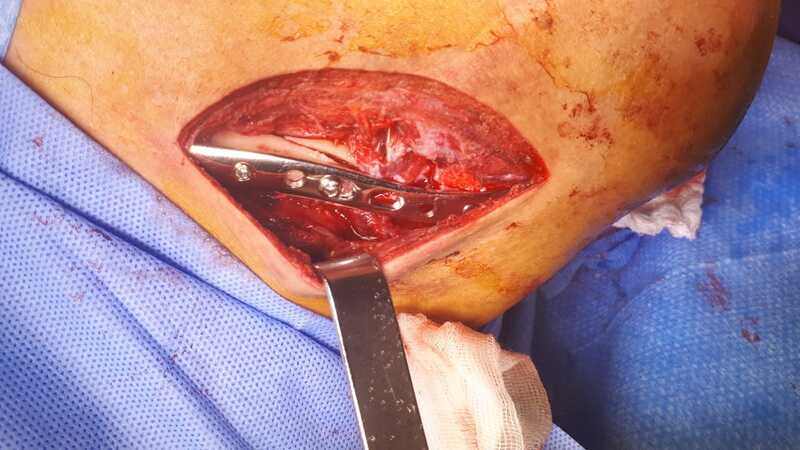 If you think it is cool to see medical procedures and can stomach it, the link below has the image…just for the curious ones, you may be mad at me once you click it hahaha. So sorry to hear!! I broke my arm this week. Must be something in the air! Mine is not as major as yours though. No surgery required. We will pray for you as well as continue to pray for Nicaragua. I hear things are not getting better. Praying for a speedy recovery for you!! Also for God’s abundant provision for you, your family, and Nicaragua. He is working and moving in hearts and lives through it all!